Lessons from Iowa (“LFI”) represents the lessons-learned from due diligence performed for and on the Iowa Stored Energy Park (ISEP) project. 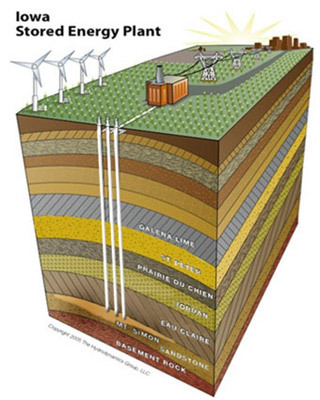 ISEP was a proposed 270 Megawatt (MW), $400 million compressed air energy storage (CAES) project to be located near Des Moines, Iowa. After eight years of development and $8.6 million of investment, the project was terminated in 2011 due to site-specific geology limitations. However, although the project focused on CAES and Iowa, most of the lessons are independent of geology or even of the bulk storage technology used. With the support of the U.S. Department of Energy’s Storage Systems Program and Sandia National Laboratories, this site is designed to transfer Lessons to industry and others to assist them in planning and performing due diligence on their own storage projects. The intent is to enable new storage projects to use Lessons as a starting point in their efforts, and avoid “reinventing the wheel” on the issues already examined in Lessons.